In 2010 I started my youtube channel, XXZXCZX and gained a following of subscribers over the years. Since 2016 i stopped making videos and deleted all content, and now in May 2018, my count of subscribers is 36114. 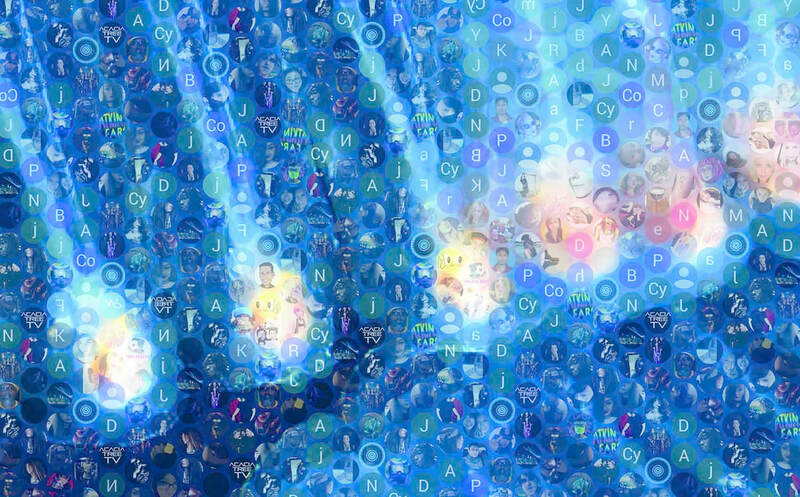 Like the other mosaics, it is made up of images of profiles/channels linked to my cybercircle; in this case those channels who are subscribed to my YouTube Channel. Due to the Google take over of Youtube, a lot of the icons have now become letters within coloured circles, for each profile. 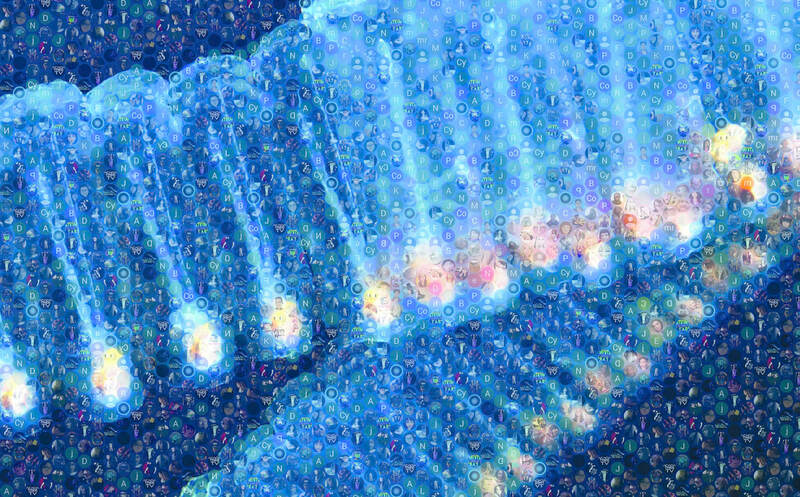 Due to the amount of subscribers, i could also only harvest under 1000 images, as the subscribers list can only be organised by "most recent" therefore i do not feel this is a true replication, in comparison to the Pyrsome and Siphonophore mosaics. 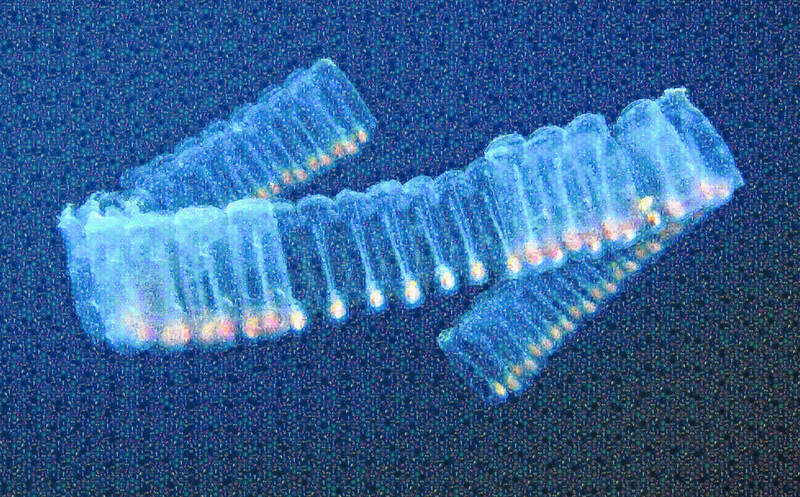 Salps are barrel-shaped, free-swimming organisms enclosed in a tunic, with openings at each end that pump water through their gelatinous bodies. They move and feed at the same time very efficiently. Chained salps grow into long strings that live in social harmony. Communicating via electrical signals, they synchronize their swimming and move swiftly through sea currents. Salps can live alone or in communities, they reproduce asexually. (Plankton: Wonders of the Drifting World, 2016). They go through a singular stage in their life cycle before joining together with each other as a chain. Each salp is an individual just like us. I chose the salp chain as a way to visualise the worldwide subscribers of YouTube because they are individuals, with less connections to me compared to those of my Facebook or Instagram, they are more distant. It is also the fact that I do not subscribe or link back to them in any way, compared to other networks where I follow back on Instagram, or on Facebook where the friendship is apparent on both profiles. The Subscribers link to my channel, and is therefore one sided. The Salp chain is a reflection of my online community that still exists [in terms of data]. They are a static colony for XXZXCZX.